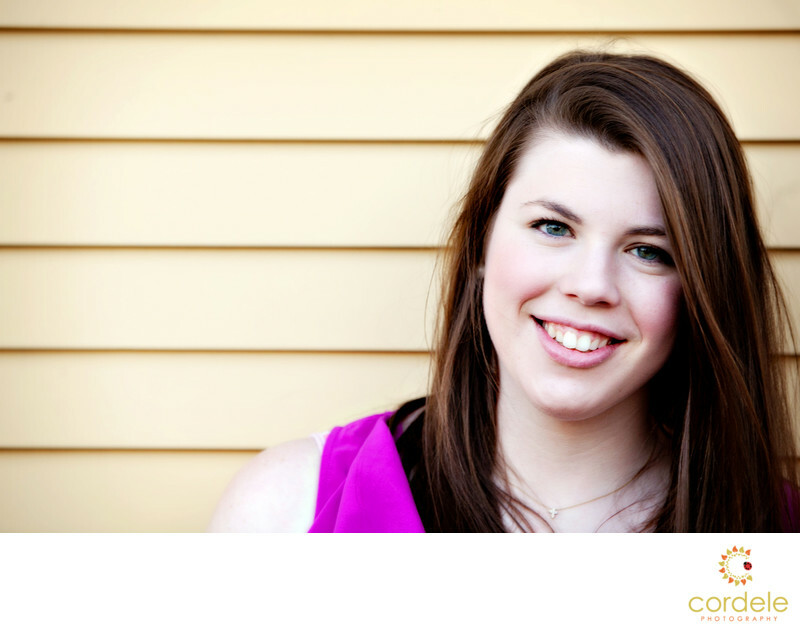 This senior came to me from Westford Massachusetts to finder her senior portrait photographer. She didn't want stuffy and she wanted a modern photo that she could love for years to come. She wore a hot pink shirt. I found a house that complimented the color she wore and place her there.